Members of Turkey’s main nationalist opposition party are reportedly planning to gather in a 11th century Armenian cathedral Friday for a politically motivated Islamic prayer that is bound to infuriate Armenians. Built in 1001 A.D. by one of the most celebrated architects of medieval Armenia, Trdat, the church was the largest building in the walled and once prosperous city. It is one of the few surviving examples of the ancient Armenian civilization that existed in what is now eastern Turkey until the 1915 mass killings and deportations of Armenians in the Ottoman Empire. According to some historians, it was converted into a mosque after Armenia was conquered by the Seljuk Turks in the late 11th century. Official Turkish sources still refer to it as Fethiye Mosque. 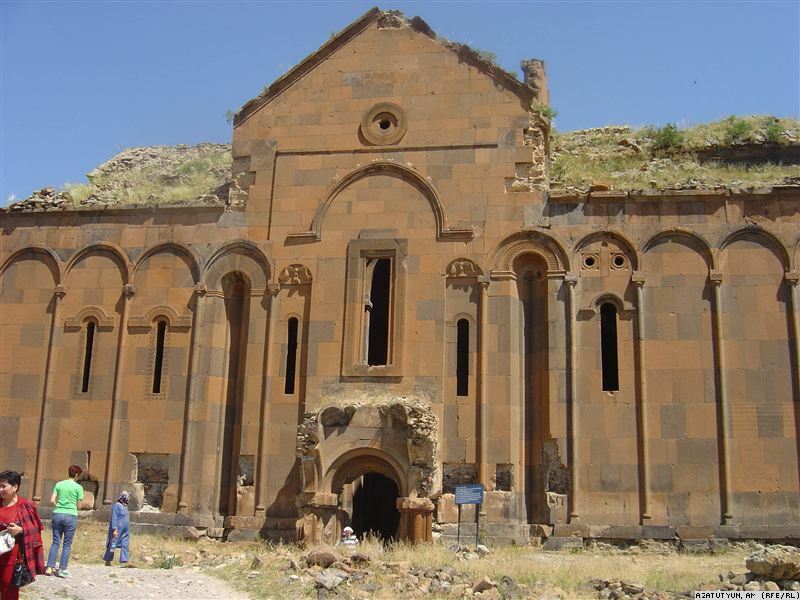 Some Turkish newspapers suggested that the MHP’s intention to use it as a Muslim worship site is a response to the September 19 landmark mass in another, 10th century Armenian church in eastern Turkey. However, party leaders attributed the politically explosive move to domestic politics and, in particular, their tense relations with the ruling Justice and Development Party (AKP) led by Prime Minister Recep Tayyip Erdogan.